As a student, my school textbooks were the highest authorities of all knowledge. If it wasn’t in the textbook, it probably didn’t exist. Despite the abundance of electronic media content, the vast majority of students today still rely on textbooks. This is why the language contained in textbooks is so important; not the identity or grammatical form of language, but its demography – how many times key words are repeated, how they are parsed through the paragraphs, and how they are linked to other key words. A study by Swedish researchers on key word usage pattern has shown that there are significant differences in how a common topic – protein synthesis – is addressed in biology and chemistry textbooks. The study, which assessed three chemistry and four biology upper secondary/high school text books, suggests that students could benefit from learning about protein synthesis in both contexts to gain better understanding. 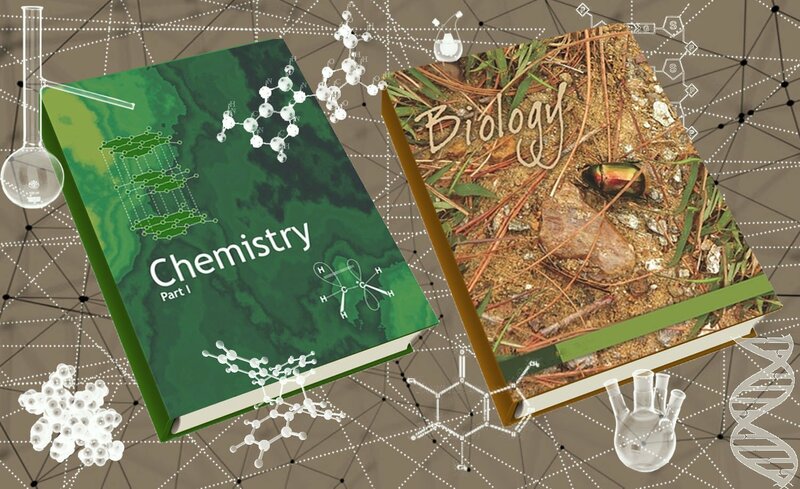 The study concludes that while chemistry texts focus more on a mechanistic approach, biology texts focus on a conceptual approach. Chemistry texts focus on all components of the process equally to describe how the phenomenon is organized spatially and temporally. Biology texts, however, place more importance on the relationships between the core concepts of ‘DNA’, ‘gene’, and ‘protein’ to provide a broader understanding and more conceptual approach to the topic of protein synthesis. In their study, Wahlberg and Gericke describe the terms ‘DNA’, ‘gene’, and ‘protein’ to be associated with core concepts, as they are the main components for understanding protein synthesis at the high school level. The terms ‘amino acid’, ‘exon’, ‘intron’, ‘mRNA’, ‘tRNA’, and ‘peptide’ are considered peripheral terms, as they are introduced as additional details for understanding protein synthesis. When investigating relationships between terms (presence of any two terms in a single sentence), the study found that biology textbooks prioritize relationships concerning certain core terms, namely ‘DNA-protein’, ‘DNA-gene’, and ‘gene-protein’ – more than others. Chemistry texts, however, seem to give equal weight to almost all relationships. Research suggests that if a learner encounters a term multiple times through a text, the higher frequency of reactivation can deepen the student’s learning of that term, and that frequency of occurrence of a term can serve as an indicator of importance. In particular, the usage of a term in regularly spaced intervals, rather than being confined to specific sections is vital for students to be able to recall previously read material and link those concepts to current reading assignments. Finally, the relationships between terms, that is, the co-occurrence of terms in sentences, is crucial for creating thematic patterns in the text to provide an all-round understanding of the scientific phenomenon being studied. “Students are likely to benefit by the thoughtful use of different textbooks and domain-specific language in teaching. Also, teachers need to be aware of the contextual differences of protein synthesis descriptions in chemistry and biology textbooks,” says Sara Wahlberg, one of the authors of the study. “Presenting protein synthesis in a wider context could contribute to a student’s understanding of the connection between protein synthesis and life. Thereby, the overarching conceptual perspective may be linked to the mechanistic,” she adds. The study, however, does not gauge the differences in how diagrams are used in chemistry and biology texts for conveying information to students. “Diagrams are a very important part of our textbooks. Many concepts in a subject like transcription are easier to assimilate from a diagram than from the text. Students find them interesting and claim that they are ‘easy to remember’,” says Anupama Harshal, who was a researcher in the biological sciences, and an undergraduate teacher at the Kishinchand Chellaram college in Mumbai, India. “Although the study has not investigated the attributes of diagrams or schemes, which are part of the standard format of education in the Indian system, I found the study interesting and well-designed,” she adds. Wahlberg admits that this caveat in her study is an important one. “At this moment, I have plans to further investigate the written language with focus on domain-specific concepts of protein synthesis descriptions,” she says. “However, as visualizations can have an impact on a student’s understanding of topics in molecular life science, this topic is important to acknowledge and investigate in the future,” she adds.